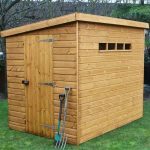 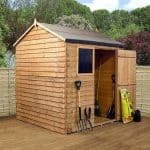 This 5 x 3 budget shed has plenty of features that make it an attractive proposition for any garden. 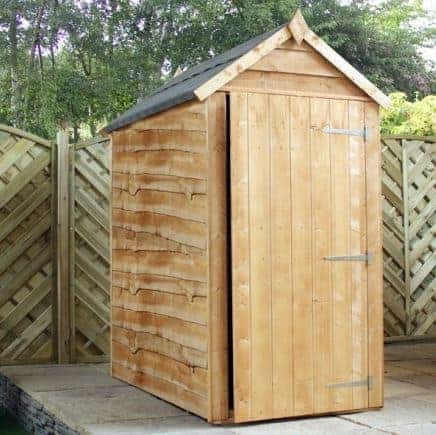 The cladding that runs around the shed is 5 mm, and does a very good job of keeping out the rainwater. 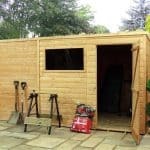 The floor and the roof of the shed are tough, covered in solid sheet. 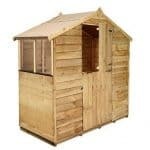 The roof has added extra protection with a felt covering against the rain. 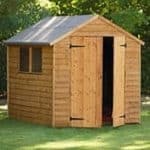 There is a 10-year anti-rot guarantee that also provides you with extra piece of mind and confidence in the durability of the shed. 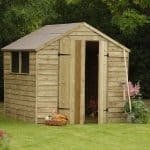 You might also like to see the top 15 5×3 shed currently on sale in the UK by visiting the WhatShed 5×3 shed awards league table.